I went in wanting somthing simple to eat. 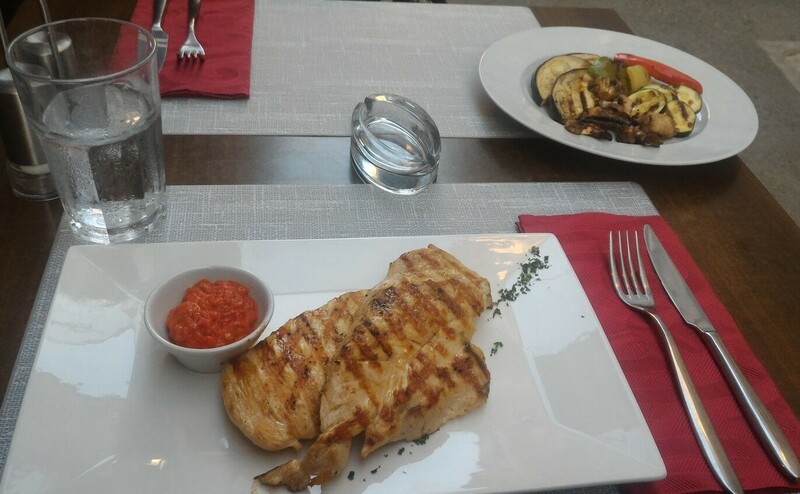 I ordered chicken brest and vegetables on the grill. The food arrived on the table in cca 10min despite the restourant beeing crowded. The food was : EXTRAORDINARY it looked nice and it tasted superb.